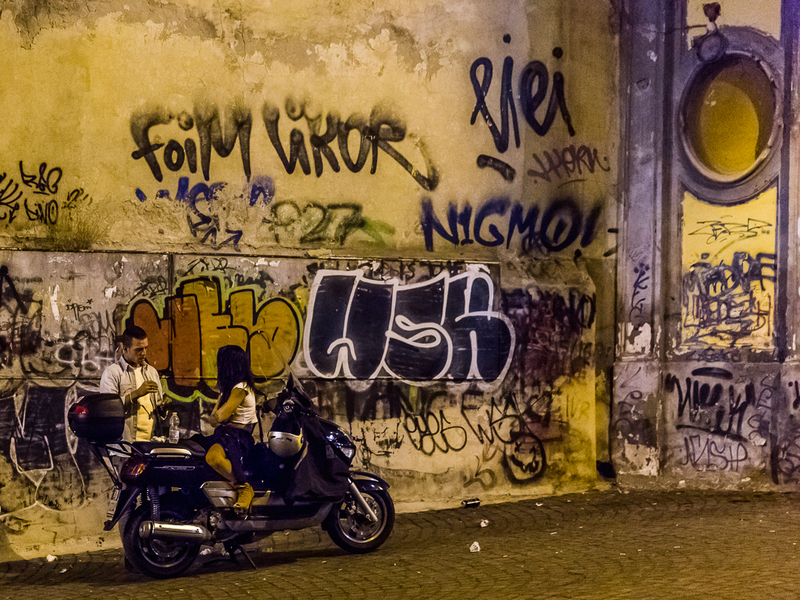 Motorbikes become a chair and a table in Naples. Very nice colors and light. Does all of Napoli wear graffiti, or is it only in certain areas? All the tags seem rather off putting to me, personally.